Warner Bros. Home Entertainment has announced today that the fan-favorite animated film The Iron Giant will be available for the first time on Blu-ray later this year with The Iron Giant: Signature Edition set to debut September 6. 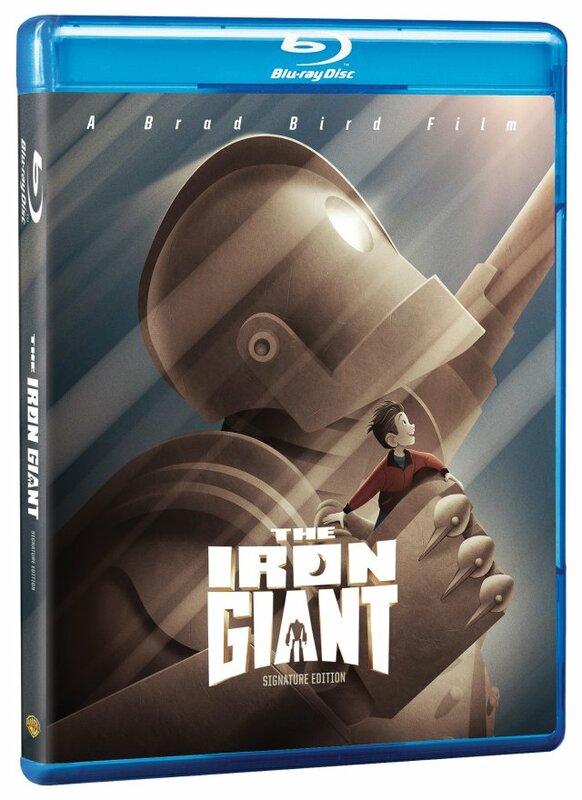 Featuring two versions of the film, the release will retail for $14.97 SRP and will also include the new documentary, The Giant’s Dream, a definitive look at the making of The Iron Giant. 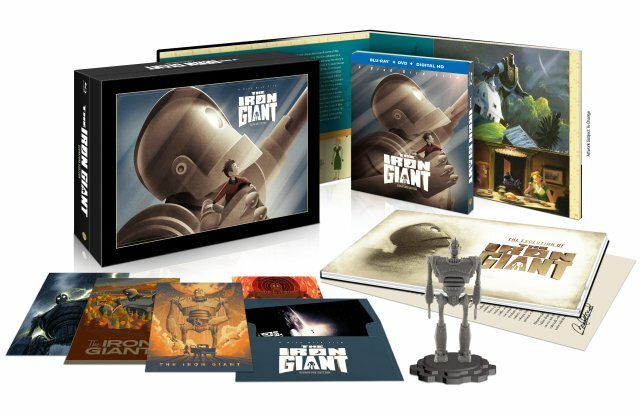 Also available on September 6 will be an “Ultimate Collectors Edition” which will include the Signature Edition and the original theatrical version in both high definition and standard definition, “The Giant’s Dream” documentary, a hardcover art book on “The Iron Giant,” collectible Mondo art cards, a 4-inch plastic articulated Iron Giant statue, and a letter from director Brad Bird. Winner of nine Annie Awards, The Iron Giant is the tale of an unlikely friendship between a rebellious boy named Hogarth (voiced by Eli Marienthal) and a giant robot, voiced by a then little-known actor named Vin Diesel. The voice cast also included Jennifer Aniston and Harry Connick Jr. The film was produced by Allison Abbate and Des McAnuff from a screen story by Brad Bird and screenplay written by Tim McCanlies and Brad Bird.